Jen Surine has a BFA from Grand Valley State University with her emphasis in Metalsmithing. She hand fabricates everything from wire or sheet metal to create jewelry that has strong architectural and geometric designs. Most of her work is created in Argentium Silver, a silver alloy containing more silver and less copper, resulting in a bright white finish that resists tarnishing much better than traditional sterling silver. 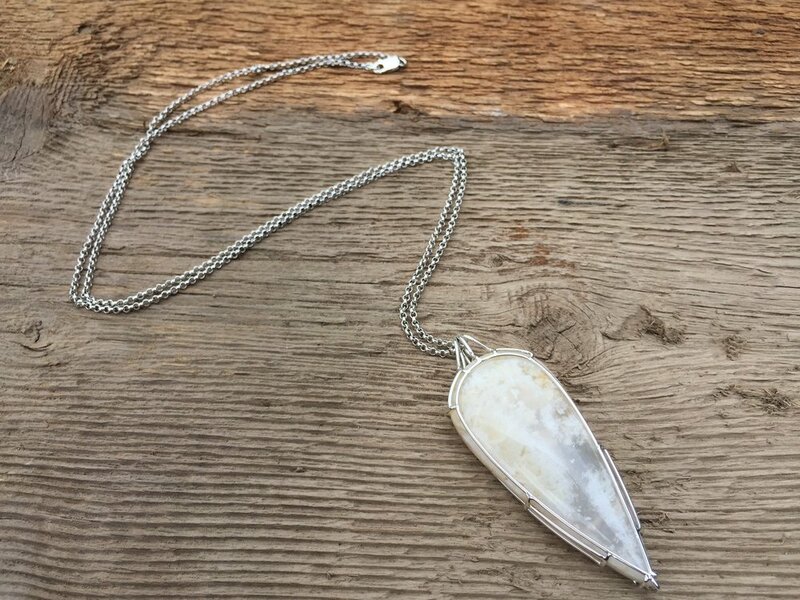 While she loves creating interesting forms out of metal, Jen also likes to fabricate jewelry that incorporates natural elements like genuine cabochons, faceted gemstones and sometimes even fossils or artifacts. Jen resides in Kalamazoo, Michigan with her husband and young son.